Ford product chief Hau Thai-Tang says the brand is planning to add nine nameplates. DETROIT — The Ford brand's U.S. lineup will grow to 23 nameplates — three more than today — in the next five years, despite plans to stop selling sedans in the region, a top company executive said Thursday. The automaker's Canadian lineup mirrors that of the one in the United States, with slight differences among Transit wagons. 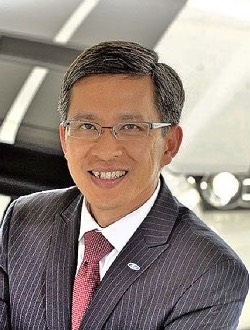 Ford Motor Co. product chief Hau Thai Tang said the brand would add nine nameplates — seven of which will be pickups and utilities — through 2023. They will fill holes left by eliminating the Fiesta, Taurus, Fusion, C-Max, Flex and all but a wagon version of the Focus, and expand the brand into several new segments, resulting in a net gain of three nameplates for the brand. The product overhaul comes as Ford works to decrease its average showroom age from 5.7 years today to 3.3 by 2020. It hopes to have the freshest showroom in the industry by that time. "It's like selling fish and vegetables," Thai-Tang said at a media event tied to this weekend's 2018 Woodward Dream Cruise in suburban Detroit. "The fresher it is, the better they do." Ford executives have vowed to replace the sedans they're phasing out of North America with vehicles employing different body styles. The brand also is adding two off-road utilities in the coming years: the Bronco and a smaller off-road crossover that has yet to be named. Other new nameplates include the Ranger midsize pickup, a long-range battery-electric crossover inspired by the Mustang, and a commercial autonomous vehicle. Ford also is reportedly considering bringing a compact pickup to market by 2022. As it redesigns many of its vehicles, Ford will place them on one of five modular platforms: rear-wheel-drive/all-wheel-drive body-on-frame; front-wheel-drive/awd unibody; commercial van unibody; rwd/awd unibody; and a unibody platform for battery-electric vehicles. All five will be able to accommodate hybrid vehicles. "This is a profound shift in terms of how Ford is thinking about the business, and how we're working," Thai-Tang said Thursday. Reiterating a presentation to the 2018 J.P. Morgan Auto Conference in New York last week, Thai-Tang said the flexible architectures will help Ford cut costs and boost the efficiency of its supply base. He said Ford can unlock 70 percent of the value content of a vehicle by moving to the modular approach. Thai-Tang and other Ford executives are attempting to offer more clarity on the company's plans amid increasing pressure from Wall Street to better detail CEO Jim Hackett's turnaround efforts, which will include an US$11 billion restructuring. "We believe," Thai-Tang said. "I think we have to do a good job telling the story and the rationale, and giving [analysts and investors] tangible proof points. That's the challenge for all of us."